This charming home with wrought iron gates and brick accented concrete driveway is on a fully fenced lot. Nice floor plan with ample living room leading to eat-in area & kitchen with granite tile floors. Oversized Central Air and heat with new venting in attic. Each of the bedrooms is equipped with a ceiling fan and floors are carpeted, linen closet in hallway and garage with washer dryer space. Plenty of room to park your MotorHome.This home is hooked up to city Sewer. 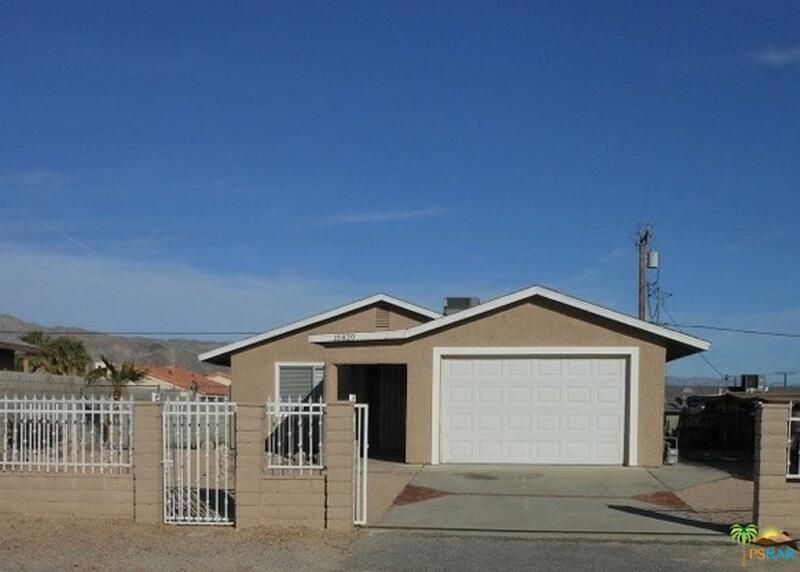 Sold by Diana Wickler BRE#01743156 of Desert Cities Realtors. Listing provided courtesy of Diana Wickler DRE#01743156 of Desert Cities Realtors.